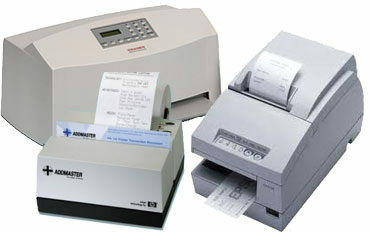 MHL offers a wide variety of Teller, Receipt, and Passbook Printers for the banking industry and credit unions, as well as retail and restaurant or bar needs. Contact us for a quote or order on new or refurbished equipment. We will buy-back or accept trade-ins on your excess printers.